I'm currently a student at Indiana University Purdue University Fort Wayne (IPFW) studying Computer Science and looking forward to graduating soon. I tend to stay pretty busy, but when I have spare time I love playing sports, volunteering at my local church and it's always nice to just relax every once in awhile. Built this website for Chase Wagner, a local Fort Wayne DJ that offers great clean music and an awesome experience. Visit this Fort Wayne DJ's page. 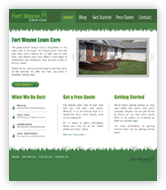 Fort Wayne Lawn Care was looking for a website that really expressed who they are and what they do; as well as facilitate a way for their clients to schedule them for their services. Check out Fort Wayne Lawn Care. 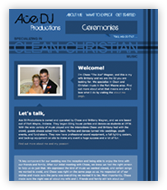 This Indianapolis client was looking for a website to highlight their services and the success their clients have experienced. 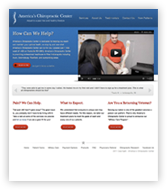 Looking for an Indianapolis Chiropractor?